Description: HKS ES Wagon Exhaust System for the 08-15 Scion xB (xB2) 32019-BT001. 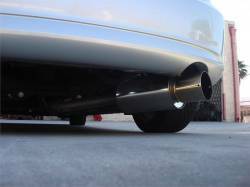 The HKS ES Wagon Exhaust System is a very popular choice for the Scion xB. 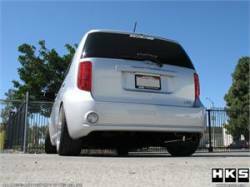 With a smooth, deep tone and angled outing, the HKS is an attractive xB2 exhaust system. Description: HKS Hi-Power Axle-Back Exhaust System for the 05-10 Scion tC 32003-BT001. The HKS Hi Power Exhaust System is one of the best sounding and performance exhaust systems for the 05-10 Scion tC. Get an HKS Exhaust for your Scion tC now!